The AirPods have officially begun arriving to customers in Europe, Australia, and New Zealand, and the first batch of users have started to share their opinions on Apple’s new wireless headphones. When they were originally announced, many users cited concerns over the look of the protruding AirPods, their sound quality, and their battery life, among other points. 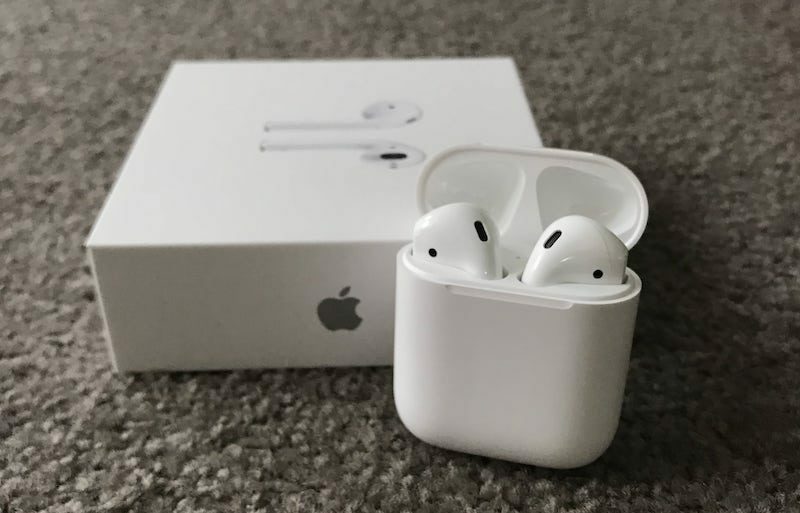 Now, most users who have the AirPods in hand are having largely positive reactions online, with one Redditor summing it up by stating the headphones “are better than expected.” Users are ruling in favor of the lightweight headphones, noting the wide Bluetooth range of their connection with an iPhone, the snappy recharge time, and the simple connection to Apple devices via the W1 chip. The AirPods have a strong, consistent Bluetooth signal with a connected iPhone, according to Reddit user Portatort, who said “so far I’ve been able to leave my phone plugged in in the kitchen and roam the whole house while getting clean Bluetooth audio the entire time.” The layout of a house will likely alter Bluetooth performance on a user basis, but it appears Apple’s wireless headphones have a reliably strong connection that facilitates wandering away from your iPhone. Users are responding well to the AirPods charge time, with many noting that Apple’s claim of recharging the headphones with 3 hours of playback in about 15 minutes is accurate. Redditor ChrisMorrisOrg said he charged his AirPods from 30 percent to 100 percent in just under 20 minutes. MacRumors poster Moxxham noted that the AirPods themselves come fully charged out of the box, but the case itself was at around 60 percent. The iPhone battery widget also has a detailed integration with AirPods, updating whenever the AirPods are in your ear or in the charging case. In the below image, the left screenshot shows the iPhone battery widget with each AirPod in the case and charging, and the right screenshot shows one AirPod removed from the case while the other remains inside. Another MacRumors reader, hobspain, figured out a way to keep using the AirPods even when the headphones need to be charged. While taking a call, hobspain was notified of dwindling battery in one of the AirPods, so they placed the single bud in the charging case while keeping the conversation going with the other bud remaining in their ear. They eventually swapped buds so the other could charge, all without ending the call. PS: one nice touch: in a very long conversation when the battery of one of the Airpods was gone (after two sound notifications), I could keep one charging while using the reamining battery from the other. After 10 minutes, I could do the opposite with plenty of battery in the semicharged one. Call was never dropped and the other end didn’t notice about these changes. Neat. Overall, users appear to be satisfied both with the individual battery life of the AirPods, and in the backup battery — 24 hours of it — included in a fully charged case. The current consensus on AirPods sound quality falls into the “better than standard Apple EarPods” camp, but not by a wide margin. ChrisMorrisOrg noticed that low volume audio houses some ambient noise issues in the background, but any normal, mid-range playback will be a normal listening experience for everyday users who aren’t audiophiles. Having used AirPods for a few hours today, I can say the audio quality is better than standard Apple EarPods, however, you do have a little bit of that ambient/white noise lingering around that you get with any Bluetooth earphones/headphones at low volume. Once you pass about the second notch on the volume, this disappears. Have been using them with Facetime Audio for maybe 3 hours (until the initial charge of 65% they came with was gone). At the other end they could not identify I was using a headset or Airpods. This was in two different conversations. So I would say the quality of the microphones is indistinguishable from the one on the Phones and better than using the earpod’s mic. I did speak in a quiet environment so can’t asses about external noise, but the Airpods don’t have active noise cancelation per se. Some have reported potentially disruptive popping and crackling noises with the AirPods, although one user eventually discovered that nearby Bluetooth devices were the culprit for the dip in sound quality on the AirPods. There are many other topics of discussion swirling around the AirPods today, including the usefulness of automatic music pausing when the AirPods are taken out of an ear. Other factors of Apple’s new wireless headphones will undoubtedly vary on a case-by-case basis, including personal opinions on how the AirPods look when worn, and whether or not they stay firmly in-ear while running. Most reports on the latter subject — including some head shaking user test videos on Twitter — do suggest that the AirPods will make a reliable exercise companion. This entry was posted in Apple news and tagged AirPods. Bookmark the permalink.